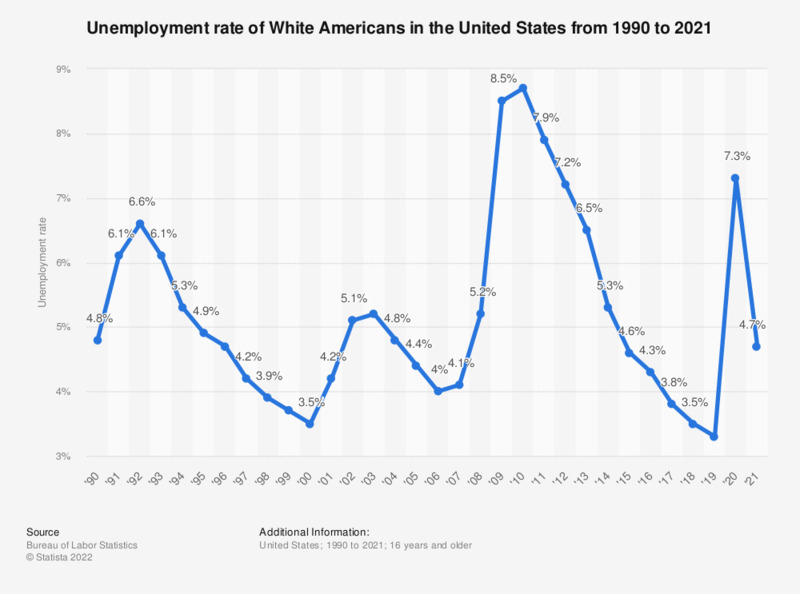 This statistic shows the unemployment rate of White Americans from 1990 to 2018. Unemployment rate of the white labor force has decreased to 3.5 percent in 2018, compared to 8.7 percent in 2010. The national unemployment rate can be found here.